If you're a foodie like me, Montreal is definitely worth regular visits. I have visited this culinary paradise every 3 years so far, and i don't see myself ever getting bored from visiting Montreal. In addition to being a gastronomic heaven, there are things to see and do for just about anyone. Whether you're an outdoorsy person or happier in a temperature-controlled room, whether you're a city slicker or a countryside lover, you will love Montreal. Visit between April and September to see why this hidden gem is such a great destination! 1. Break your fast at one of the many Eggspectation. A restaurant chain solely founded to celebrate the glorious ingredient that is egg, this place serves more than 30 variations of eggs dishes - ranging from simple sunny-side up eggs to elaborate lobster omelet with all the works. My favorites are the eggs benedicts, especially the Lobster Benny and the Smoked Salmon Benny - growing up Asian, I just love seafood. If you're more into pancakes and waffles in the morning, this place serves more than half a dozen variations of each, plus french toasts. Whichever way you go, you can't go wrong with this family favorite! 2. View Montreal from the top of the Olympic Stadium & check out the Biodome next door. At 574 ft tall, the Olympic Stadium is the world's tallest slanted structure that also double as a stadium. Nicknamed "The Big O" and cited as a masterpiece of Organic Modern architecture, it was the main venue for the 1976 Summer Olympics. After riding up to the top of the roof and viewing the wonderful city view in all of its splendor, don't forget to visit the Montreal Biodome. Located at the base of the Olympic Stadium, this indoor nature museum is a man-made habitat of the four America ecosystems: the South American rainforest, the North American wilderness, the Gulf of St. Lawrence, and the Arctic & Antarctic polar area. 3. Absorb the beauty of Montreal Botanical Garden. This 190-acres (75-hectares) botanical garden filled with thematic gardens and greenhouses was designated a National Historic Site of Canada in 2008. It is considered to be one of the world's most important botanical gardens due to its collections and facilities. Its greenhouse is filled with plants from all over the world and each of its outdoor gardens has a theme like Canadian, Chinese, Japanese, and Alpine. Make sure to check out the bonsai collection, view the tea ceremony, and feed the koi fish. The huge lion that lies at the entrance of the rose garden is the Lion de la Feuillee, a gift from the people of Lyon, France to Montreal at the latter's 350th anniversary in 1992. 4. 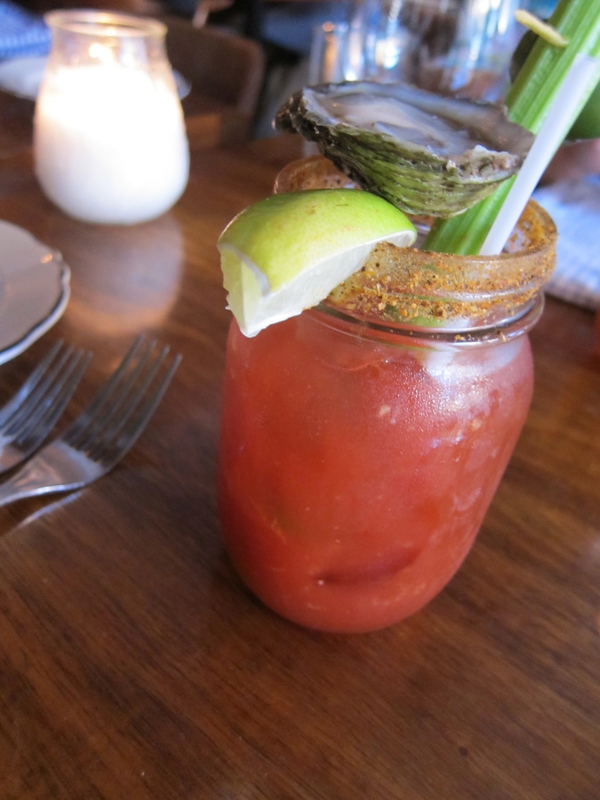 Have lunch at Joe Beef, and a second lunch at the Liverpool House. The second best French food outside France that I've ever eaten at. Must try. Worth making as a destination. Make sure to try their Double Down and, if you like organ meats like me, their Ris de Veau is to die for. You might even be able to take pictures with celebrity chefs Dave McMillan and Frederic Morin. 5. Visit the Notre-Dame Basilica of Montreal. 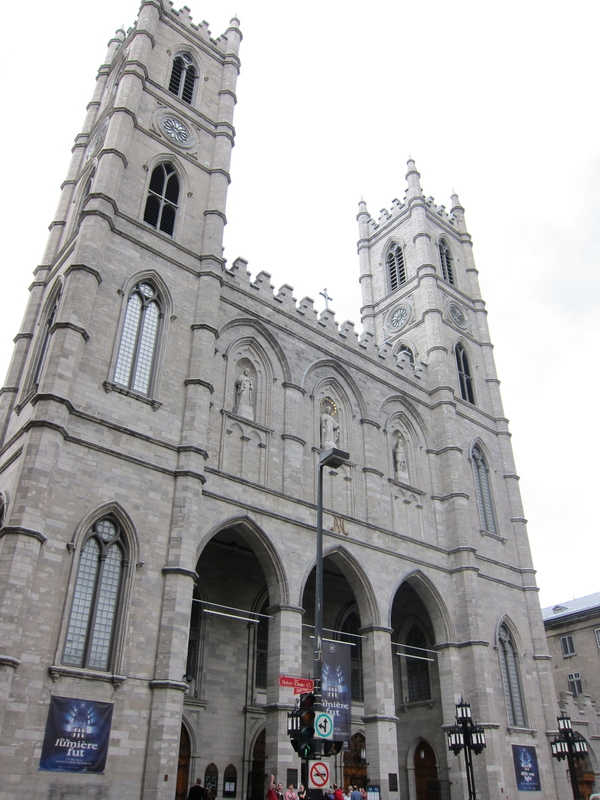 Another National Historical Site of Canada and the venue of Celine Dion's marriage in 1994, this basilica is located in the historic district of old Montreal. Its Gothic Revival architecture is among the most dramatic in the world, with grand and colorful interior and deep blue ceiling decorated with golden stars. The rest of the establishment is a melting pot of striking colors, intricate wooden carvings, and religious statues. Its stained glass windows depicts this religious history of Montreal instead of the usual biblical scenes. Montreal's tradition calls for its inhabitants to attend the performance of Handel's Messiah every Christmas at this church. 6. Walk around Old Montreal. The oldest area in Montreal originally set up as a fur-trading post back in the 1600s, Old Montreal has become a leading tourist destination of the city. 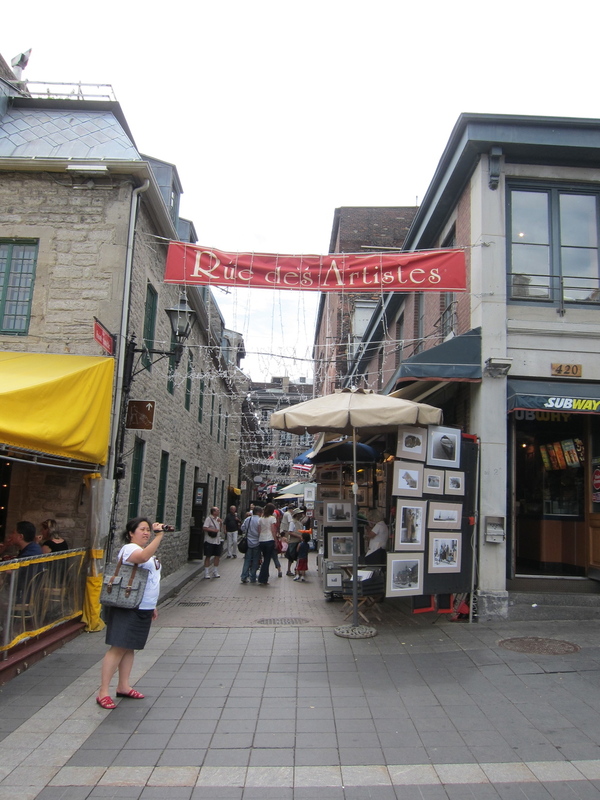 Make sure to try the many excellent restaurants in the area, buy some original Canadian maple syrup, get a print or two of Montreal's trademark winding staircases, purchase some art work (maybe a bear rug or two) at the Bonsecours Market, and relax by the water works. The Pointe-a-Calliere museum is worth a visit and, if you visit on the weekend during the summer, there is usually an event going on to entertain the kids and adults alike. 7. Take a break with a genuine Montreal Poutine. A favorite Canadian comfort food, poutine is a made with french fries, topped with cheese curds and light brown gravy sauce. It is the perfect food for cold days, rainy days, after clubbing, basically almost any time. Poutine can be found in many Canadian "greasy spoon" diners and pubs. I like mine with smoked meat on top, but you can also get chicken, bacon, even foie gras in some establishments (yummmm) as your topping. 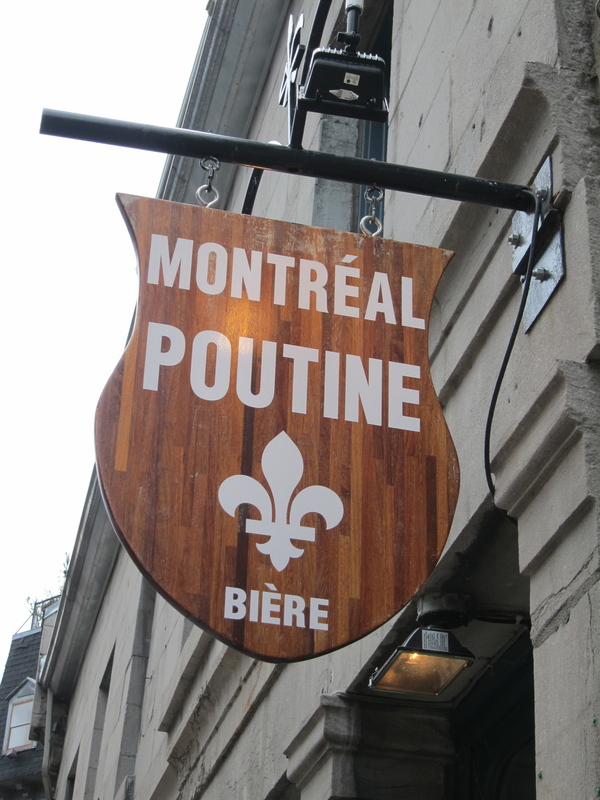 You haven't been to Montreal if you haven't tried their poutine. 8. Wander around Mount Royal park up to the city lookout. The jewel of Montreal's parks, this 200-hectares park occupies the highest spot in the city. Designed by the same person who masterminded New York's Central Park, this park boasts 2 lookout spots, one facing over Montreal's downtown (the Belvedere Kondiaronk) and the other one facing the Montreal Stadium. Mount Royal is where Montrealers go to get a breath of air on a hot day, to cross-country ski without leaving the city, to walk off a hangover or a bad mood, to picnic, to jog, to ice skate, to look out over the city, rest their eyes on the horizon and dream. 9. Grab a bagel at St. Viateur Bagel. St. Viateur Bagel is a famous Montreal-style bagel shop that operates 24-hours a day, 7 days a week serving more than 12,000 Montreal's best bagels a day. 10. Visit St. Joseph's Oratory of Mount Royal. This Roman Catholic basilica and national shrine also happens to be Canada's largest church. Another National Historical Site of Canada, the church is famous for "Brother Andre's miracles" - Andre Bessette who began the construction of a chapel on the slopes of Mont Royal performed many healing miracles in the name of Saint Joseph. He was beatified in 1982 and canonized in 2010. Brother Andre's heart is still in a reliquary in the church museum today per his request as a protection for the basilica. 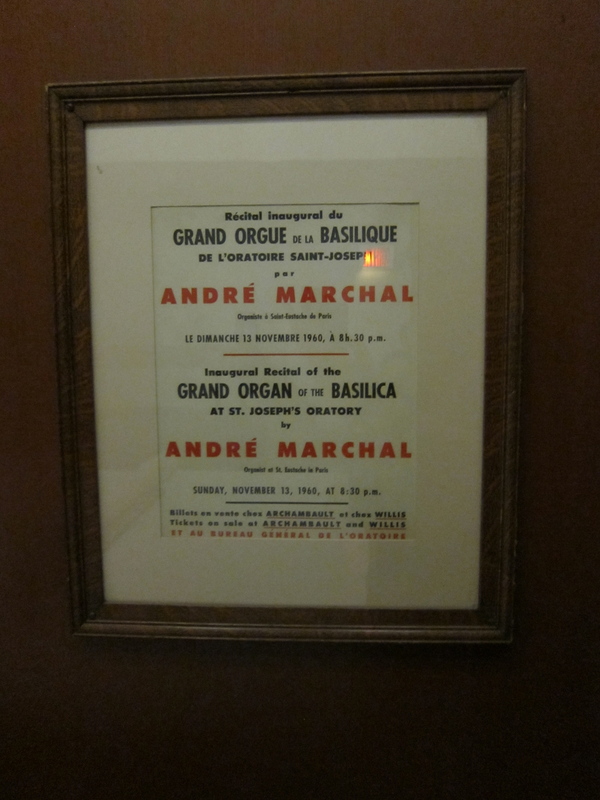 Make sure to check out the huge organ and the golden room under the dome. 11. Have a dinner at Martin Picard's Au Pied de Cochon. Saving the best for last: this Montreal landmark restaurant is an absolutely must-try. Established in 2001, it serves the best French food outside France and is worth making a trip for. Chef Martin Picard is a genius with foie gras, pig, and duck. EVERYTHING in the menu is great, try the pig's head with lobster if you're really hungry or if you came with a small army. My favorite is the Duck in a Can and my husband loves the foie gras burger, . Make sure to make reservations weeks in advance - there is a super long waiting list for this place.